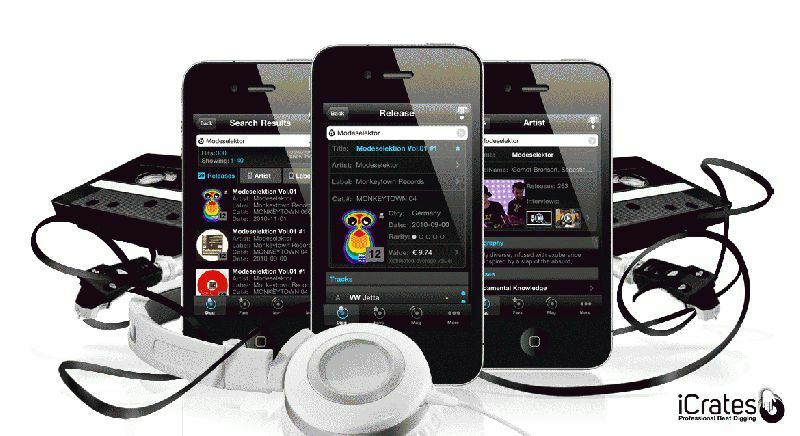 The iCrates app gives instant access to the biggest music databases and marketplaces such as Discogs, eBay, Amazon and iTunes. Users find detailed information on releases, artists and labels while searching for music in record stores or on flea markets. The built-in barcode scanner allows even faster access to search results. iCrates shows real-time price offers for releases and evaluates the rarity and average selling price in various currencies. This way music collectors will know when they have spotted a real bargain. With iCrates users can even listen to audio samples and full tracks or watch related videos on Youtube. In addition the app includes the iCrates Magazine, a high end online music magazine focussing on the love of vinyl and analogue music. It provides insights into the international record digging scene, offering readers a new way to rediscover old music. Read stories, reviews and interviews as well as guides to the hottest record stores and markets on the planet. “To us, the interest in analogue music and vinyl records is pure passion. There is a huge treasure trove of musical recordings out there that can change everything for you when you discover it for the first time.” Gunnar Menzel, founder and Design Director of iCrates. “We only see this as the start. We are constantly developing the app concept and are really looking forward to the first feedback from music diggers and record collectors, because we’ve developed iCrates for them.” Ann-Kristin Leder, founder and Marketing Manager of iCrates.